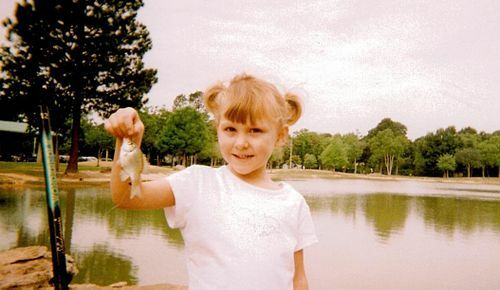 Gladys also sent a photo of her granddaughter when she went fishing with her Pappaw. Gladys wrote, "She is really into fishing and having fun with her Pappaw. She has personality plus and such a sweet little lady. She likes to go shopping with her Nanna and of course I like to go with her, too. Much fun. One day I was trying to talk her into going shoe shopping and she said to me ‘Nanna, actually I have enough shoes’... and believe me, she has shoes to go with every outfit."